Brotherly love. Mike (left) and Ken (right) waiting to board the “Polar Bear Express” from Cochrane to Moosonee. Photo by Barb Charlton. With more than 40 years of combined birding experience, Mike and Ken are two of Ontario’s leading birders. They both studied birds through their undergraduate and masters degrees and work professionally in the field of bird conservation and research. Mike and Ken both serve on the Ontario Bird Records Committee, the body that officially gathers documentation of Ontario’s bird species. 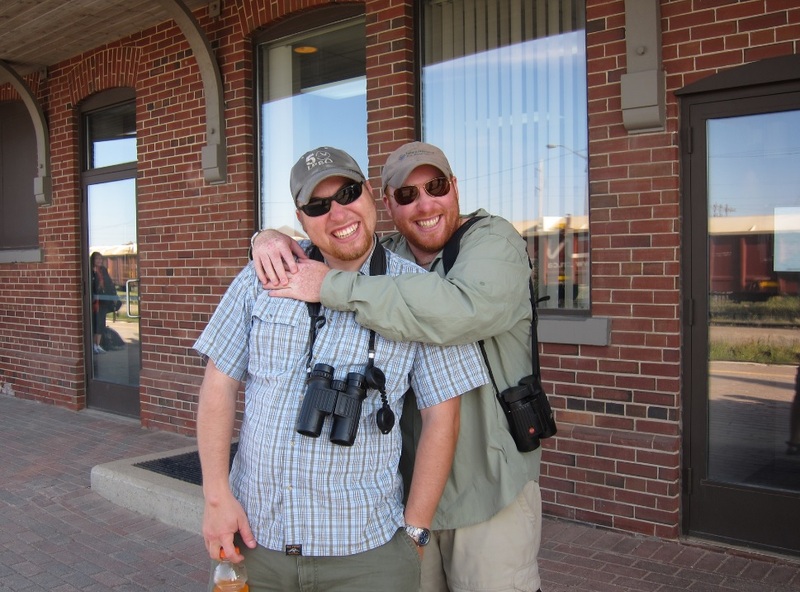 They are both deeply involved in the birding community in Ontario and have been leading field trips for several organizations and as private tours for many years. While birds are a central part of both of their lives, they love nothing more than to share their knowledge and excitement for birds with others that are interested.